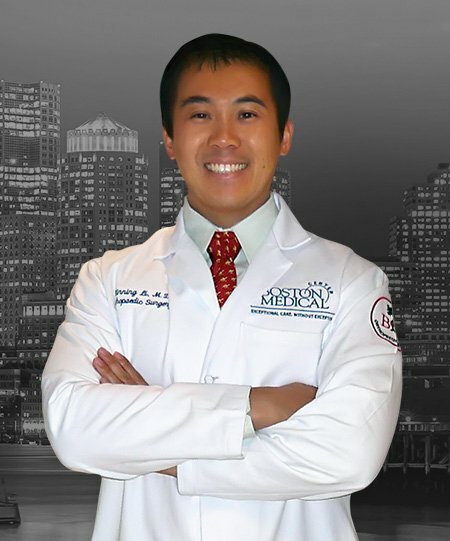 Dr. Xinning Li, Associate Professor of Orthopaedic Surgery at the Boston University School of Medicine and Team Physician for the Boston University athletics, has a strong clinical interest in both Sports Medicine and Shoulder Surgery. I can't say enough about Dr. Li. i tore my rotator cuff on my right shoulder 3/11/16. I saw him in August referred by my lawyer he gave me cortisone shot & to do PT & said i had a 90% tear of the cuff that i would need surgery. I want to share with you about Dr. Li I broke my arm January 4, 2017 I broke the ball right out of the socket shattered bones and two fractures and Dr. Li put a whole new shoulder June 15, 2017 and he did a wonderful job I feel good and I can move my arm he was very happy with it I was so happy with him and I would recommend him to anybody very good surgeon.